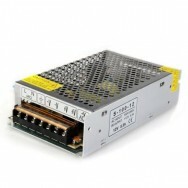 This is a 100W LED Driver (8.3A) that operates at 12v. 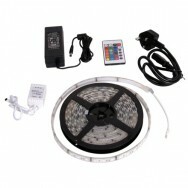 LED Strip Lights is an experienced provider of high quality LED products, based in Leicester, East Midlands. We offer an extensive range of strip lights with a selection of lengths and colours, so there is something to suit everyone. As a greatly respected retailer within the industry, our highest priority is customer satisfaction. We aim to provide the best quality products and customer service at affordable prices. LEDs are fast becoming the primary lighting choice for homes and businesses alike. 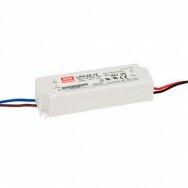 The long life and low energy consumption of LEDs makes them highly energy efficient. They are an eco-friendly option, which do not contain the harmful substances that incandescent bulbs do. Many people find LEDs attractive because it gives them an opportunity to reduce their carbon footprint. 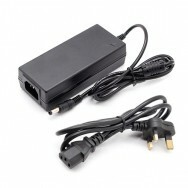 However, they are also a very appealing option because of their money-saving capabilities. Switching to LEDs could see you paying significantly less on your bills because they use less energy, last longer and require minimal maintenance. LED strip lighting is the most efficient form of LED lights, as it is easy to install, durable and provides attractive, ambient light. At LED Strip Lights, we offer a wide range of products, all of which are quality assured to guarantee superb performance. 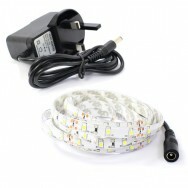 Our standard LED strip is single colour, available in either warm or cool white. This option creates subtle, efficient lighting for any room, and the choice of colour means that you can choose the ambience you prefer. 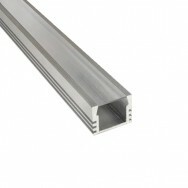 The dual colour strip is also a popular choice, which allows you to interchange between warm and cool white instantly. 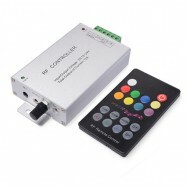 Using the handheld remote control, you can also adjust the brightness, making it quick and easy to achieve the effect you want. All of our LED strips are flexible, user-friendly and easy to install with a simple adhesive backing. This makes them perfect for awkward spaces and, to make things as easy for you as possible, we can even cut and solder your strips to size for free. 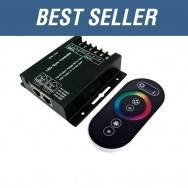 A particularly popular option among our customers is our RGB colour-changing lights, which can be programmed using a remote control. There are sixteen static colours and four dynamic modes available, as well as variable brightness and speed settings. These lights are fully dimmable and are perfect for creating a mood or for a party. If this sounds perfect for your needs, another possibility you might want to consider is LED pixel tape. Unlike strips where you control the whole strip, LED tape allows you to control each group of three LEDs individually. This means that you can achieve smooth colour transitions and advanced patterns such as colour chasing and sliding. LED tape offers the latest in LED technology, providing fun and stylish lighting modes and giving you greater control over your light. Whatever your lighting needs, the extensive range at LED Strip Lights has something that will both fulfil your illumination requirements and suit your personal style. 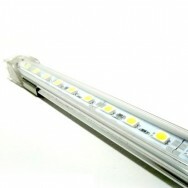 We even offer LED light bars, which are designed specifically for use under kitchen cupboards. Our lights also come with the option of a splashproof coating so that they can be used in bathrooms. 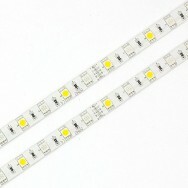 We are committed to providing high quality LED strips at the best prices for our customers. As a highly respected LED retailer, we have a well established customer base that has helped to build us into the trusted company we are today. 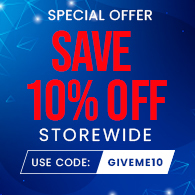 We are devoted to excellent service, offering free and fast delivery, a two year warranty on all our lighting, and a twenty eight day money back guarantee. 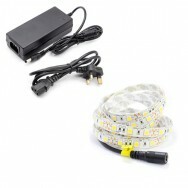 When you buy from LED Strip Lights, you can be sure that you are getting the best.